It can be so infuriating putting out a hummingbird feeder only to find it quickly overrun with pesky ants. Not only does it keep the hummingbirds and other nectar feeding birds away, it encourages more ants and that is something nobody wants. After looking on the internet and being discouraged with the results, I have come up with an easy and virtually free way to keep ants away from my feeders. In fact, it's so simple you'll likely be able to do this with items you have around your house. When I looked on the internet for ideas, all I found were ideas for moats or coatings for the hook or chain. I have tried all of these with only limited success. Let's look at their shortcomings. Moat: The idea is sound and eco-friendly but for me, this was a complete non-starter. I live in Brazil and we have a problem with mosquitoes. Any standing water is best to be avoided so a moat was out of the question. The other issue I had with it, is evaporation, I don't want to be refilling a small bowl of water several times a day. So whether it was a large or small amount of water, for my situation neither was ideal. Coating the hanger or hook: Among the coatings people use are Vaseline or Vicks Vapor Rub. The idea behind this method is the ants don't like to walk across a sticky surface. I have also read that they don't like the smell of Vicks and it will act as a repellent. I tried the Vaseline and it worked for awhile but I had to keep reapplying which was a nuisance. Plus, it turns out the hummingbirds don't like Vicks either. They have a well-developed sense of smell and also stayed away, not quite the solution I was hoping for. Don't get me wrong, I love having hummingbirds visiting the feeders, but if it is going to cost me a lot of time and/or money, I would need to rethink putting my feeders out. Finally, after a lot of trial and error, I discovered a quick, long-lasting and inexpensive set up which, for where I live, is perfect for preventing ants on the hummingbird feeders. What I have found works best for me is a simple plastic lid, the type that comes on a carton of ice cream, or margarine container. 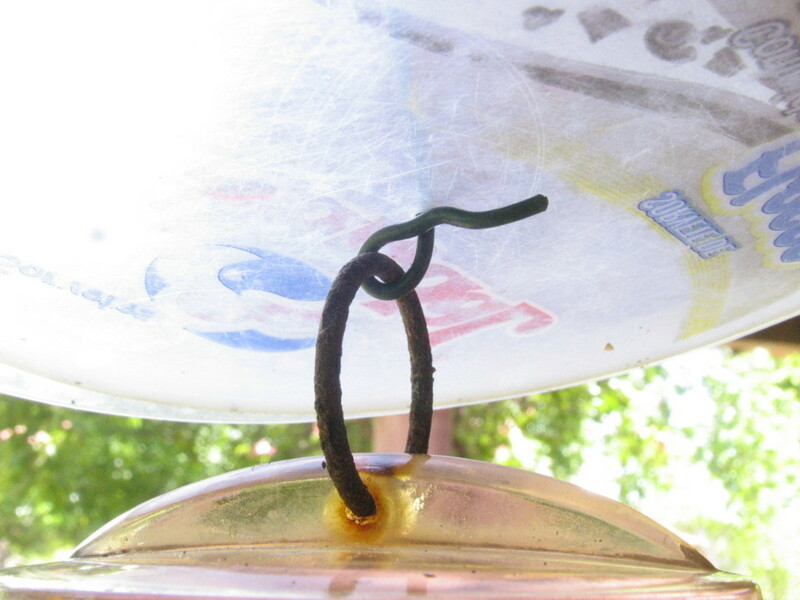 A piece of wire: I used a flexible and plastic coated wire but a wire coat hanger would work. Something to poke a hole such as a pair of scissors or a skewer. Insect spray or kitchen cleaning spray such as Mr Muscle or 409. Begin by poking a hole in the center of your plastic lid. Push from the underside towards the top. I use a skewer but you could use a knife, scissors or whatever you need to make a small hole. Make the hole as small as possible but big enough to allow your wire to pass through. 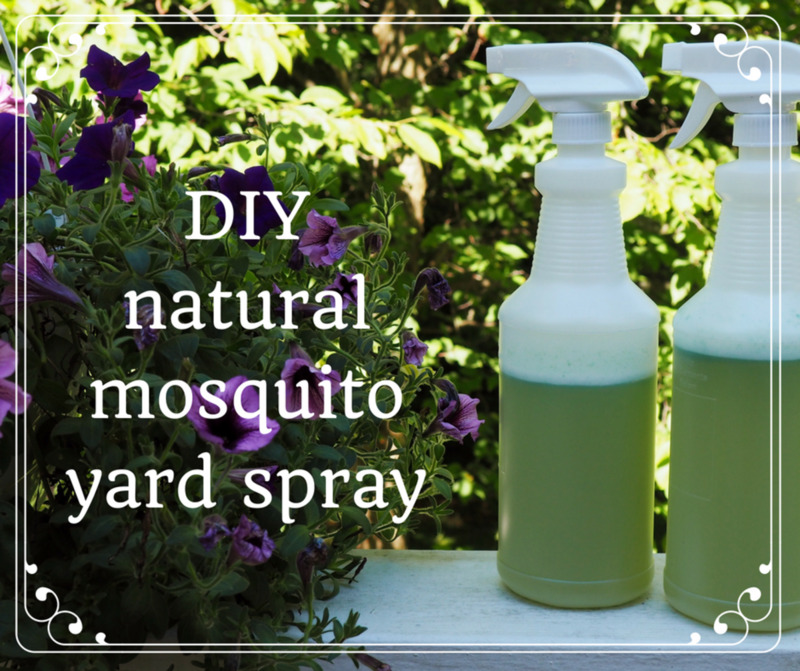 Spray the lid with insect spray, 409, Mr Muscle or another product that will repel ants. If you didn't know those kitchen cleaning products also worked against bugs they do and it is a secret that professional exterminators don't want you to know about. Although many of us use these cleaning products, I suspect many people don't rinse their surfaces after using them. They, in fact, leave behind a residue which, if it is toxic to insects, which it is, is also toxic to humans. Just another reason, I believe it is best to use natural cleaning products in the kitchen. (Let me step down from my soapbox). Leave the plastic lid to dry. The next step is to simply make a loop in the wire, this will need to be wrapped around a couple of times. If you can't do it with your fingers, use pliers. This has to support the weight of the feeder. All of my feeders are glass so they are quite weighty when full of the sugary water solution. This loop is the part that will hang from your hook, bracket or whatever type of fitting you currently have for your hummingbird feeder. Slide the plastic lid, which has been sprayed and left to dry, onto the metal wire. The sprayed side should be on the top or facing up. Now make a bend in the wire leaving about 1.5 inches. This is to support the lid. You can see this in the photo. 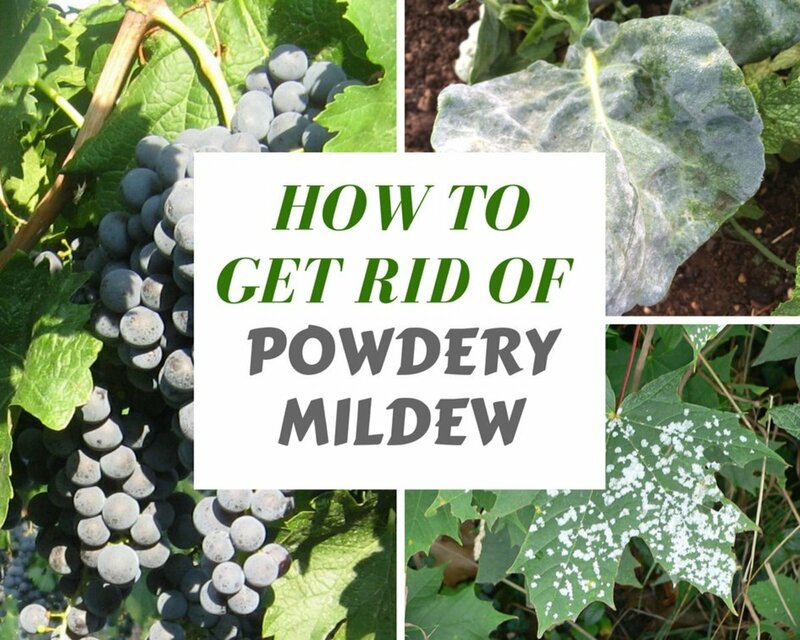 I have had great success with this method and left it for weeks without respraying it. I don't know if this is because the spray penetrated the plastic or if the ants, remember that as a potential danger. The lid will bobble about in the wind but as long as it is supported by the wire, you will have no problem. If you are worried about using this spray near the feeder, don't be. I have never seen many of the hummingbirds or other nectar feeding birds even attempting to land on it. I think this is partly due to its unstable (or wobbly) surface. Plus they are eager to get to the sugar water. I would also like to add here, that not only do we get the hummingbirds visiting our feeders, we have them nesting in our garden. It is quite fun to see the small eggcup size nest being constructed and then filled with eggs the size of Tic Tacs. Once they hatch normally all we can see are the pointed beaks sticking out of the nest. Your birds may at first wonder what the heck this new contraption is but once they go in and sample the liquid, they will know there is no danger. Is it the prettiest thing hanging on your patio or porch? No, but it's effective. When I change the sugar water, I leave the wire and plastic lid in place and only remove the bottle. 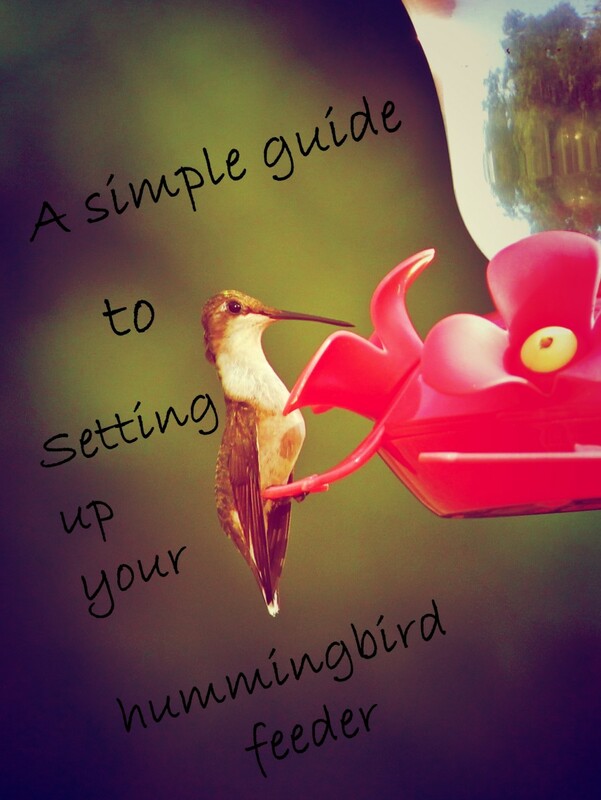 By selecting certain flowering plants you can encourage hummingbirds to visit your garden. Not only will you get to see these beautiful little birds, you'll have beautiful flowers too! So let's look at various types of plants which can be grown to get them to visit. Red flowers attract them, in fact they take a great interest in anything red. I have seen a video of one flying to a camera strap which had a red Canon logo on it. They are inquisitive. Tubular flowers are a bonus for them as this type of flower can hold a lot of nectar. Here at my home we see them on the bougainvillea, and both the cashew and the mango trees. Remember they are also eating small spiders and other bugs for protein, not just nectar. Below is a list of some common flowering plants which attract hummingbirds, bees, and butterflies. Opt for varieties in red for best results. 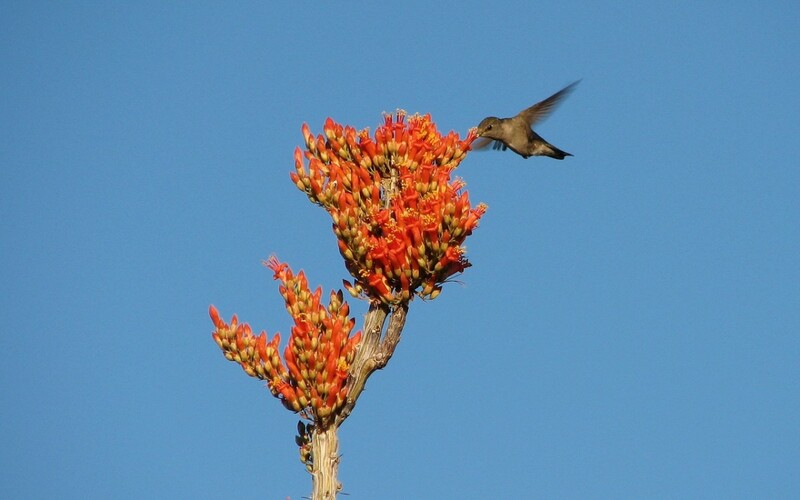 Do you plant trees and bushes known to attract hummingbirds or just rely on feeders? I have hummingbird friendly plants and use a feeder. I think they should only have natural food. Proportionally speaking, the hummingbird's brain is larger than ours. At a whopping 4.2% of it's body weight it makes our tiny 2% of grey matter seem minuscule by comparison. This acrobatic little bird has the ability not just to fly forward but also backward. Hovering is no problem either as it creates a figure 8 with its wings to keep itself in position. Its wings can beat up to 200 times a second. This is one of the reasons when you see a flying hummingbird the wings are blurred. They can burn up to 12,000 calories a day and are constantly in search of flowers. Some estimates say they visit 1,000 flowers a day. At night, to conserve energy, they go into a state called torpor which is like a short hibernation. They can be aggressive and territorial. 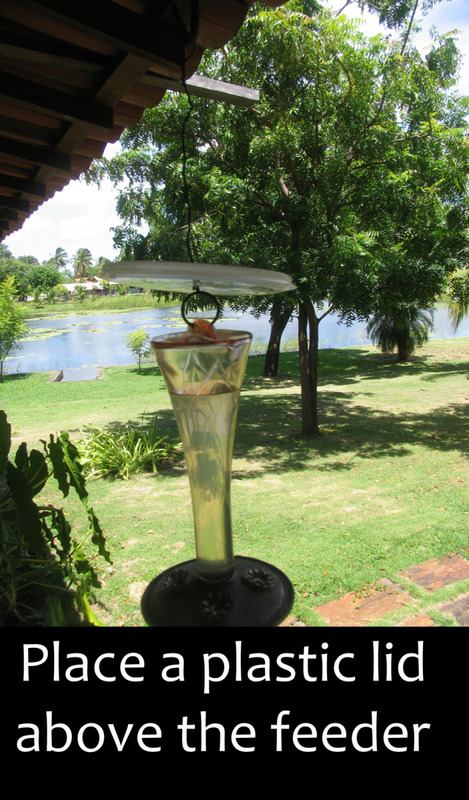 We have seen them chase off hawks and kingfishers here at our home in Brazil. 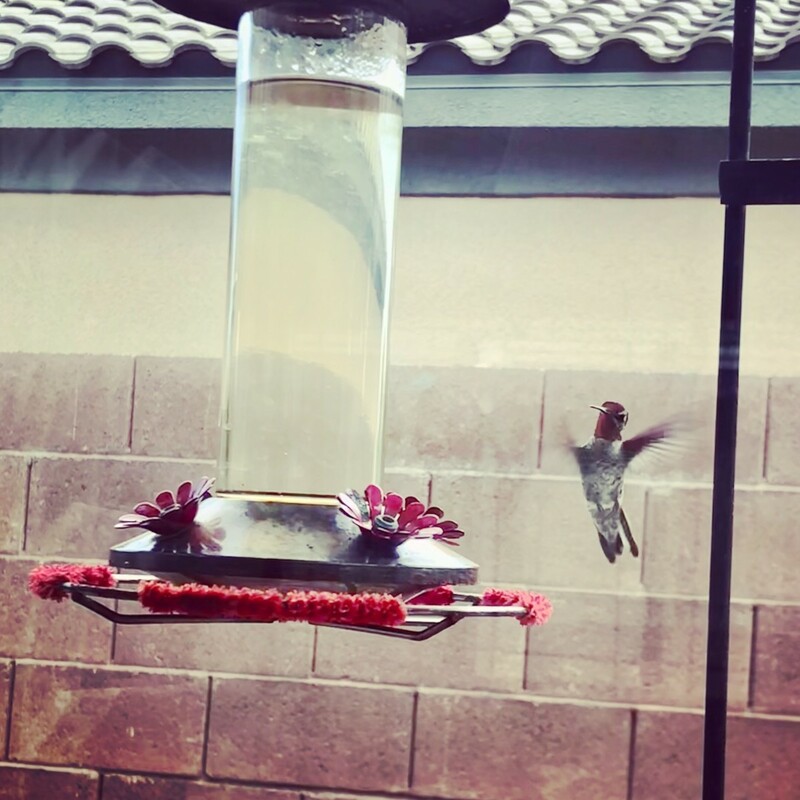 I have also seen videos where they will attack and kill another hummingbird. In Brazil the hummingbird is called Beija Flor which translates as 'flower kisser'. 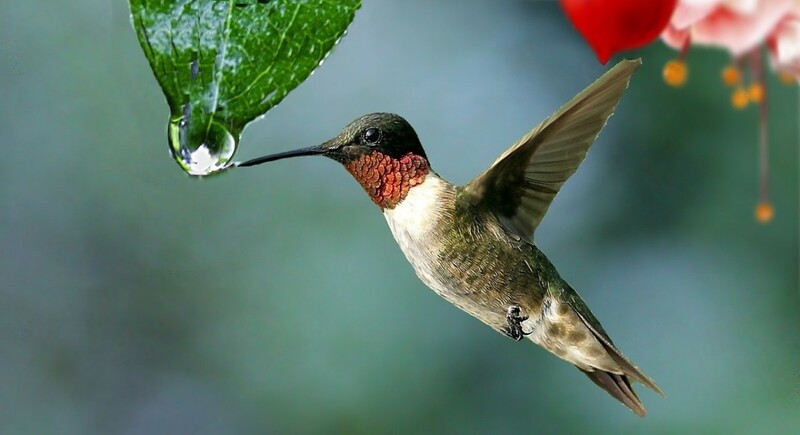 Hummingbirds are only in the western hemisphere and are found from Alaska to Chile. However hummingbird fossils which are believed to be 30 million years old have been found in France. My ant moat does a fine job of keeping out crawling ants, but I find my feeder plagued with flying ants. How do I deter them? Flying ants and wasps are a problem. I have found that by moving my feeders, it will keep them away. Of course, when they find the new location, I move it again. I have two places that the hummingbirds know to look. It isn't a permanent solution, but it's workable. I've been using vegetable oil in the moat above the hummingbird feeder for the last four years to prevent ants - so far so good. Is this working for anyone else? That is a great idea, thanks for sharing that. I can see the benefits to that as it won't evaporate like water or be a breeding ground for mosquitoes. My only concern is it may go rancid if not changed regularly. I have tried two different hummingbird feeders, and they both leak. Do you have any ideas? Firstly are they leaking because the wind is strong causing them to spill? If the unit is leaking, can you return it to the place you purchased it from? I have glass bottles, and they have never leaked. Previously I had some plastic ones, and in our sunlight, they eventually became brittle and cracked. You don't want to be dripping sugar water, as that will attract the ants. I'd try and return that and buy a glass one. Our hummingbird feeder has a dome, and yet the ants still get to the nectar. After reading your ideas, I came up with one of my own. I used red electrical tape. First, one rotation, sticky side down, as usual, followed by a half twist, then wrapped with a wire hanger, sticky side out. The ants don't like it, it cheap, no harmful effects to the ecosystem. How do you like my idea? My only concern is that you will need to keep using more tape, as the sticky part gets coated in dust from the air. Other than that, it sounds brilliant. Thanks for the idea. I'm sure your hummingbirds will find your feeder, they cover a lot of ground in the course of a day. The wasps can be a problem, but mine seem to be sporadic as we have many flowering trees and plants that keep them occupied. I hope some of these solutions will help you. Thanks for this insightful solution to the ant problem. I'm going to give the plastic lid a try next time I refill the feeder. Right now, I'm hoping that the little guys will find it in the new location. Reading through the comments I see that I'll have to address the tiny wasp issues as well. I'll be looking for some of the plants on your list to help attract these birds. Last year I had lots of issues with wasps on my feeders. I tried one of those honeycomb looking wasp catchers and this year I've had no problems at all with the wasps. I tried the moat idea, but like the author, I don't have the time to fill it several times a day. And, you have to be vigilant bc the ants will take over quickly if the moat is dry. I tried the Vaseline with no luck, the ants just walked over it. The Vick's has definitely worked the best. My hummingbirds don't mind the smell at all but the ants sure do! Finally, success! Well that's a new one I hadn't heard before. It's often the unusual things that work the best. Thanks for throwing your idea into the basket of things to try to get those ants away from the hummingbird feeders. 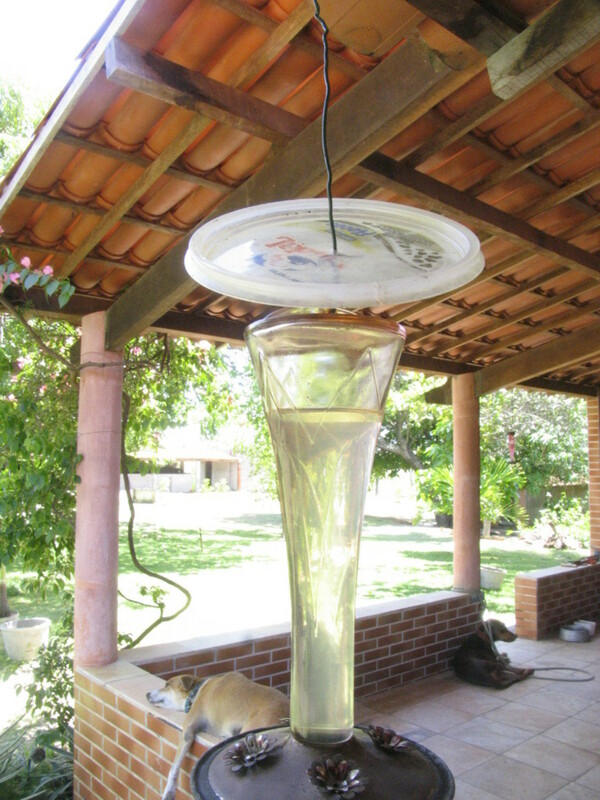 Easy way to rid ants from humming bird feeder. Wrap old shoe lace around hanging feeder cable. Spray WD-40 on shoe string. No more ants in feeder. 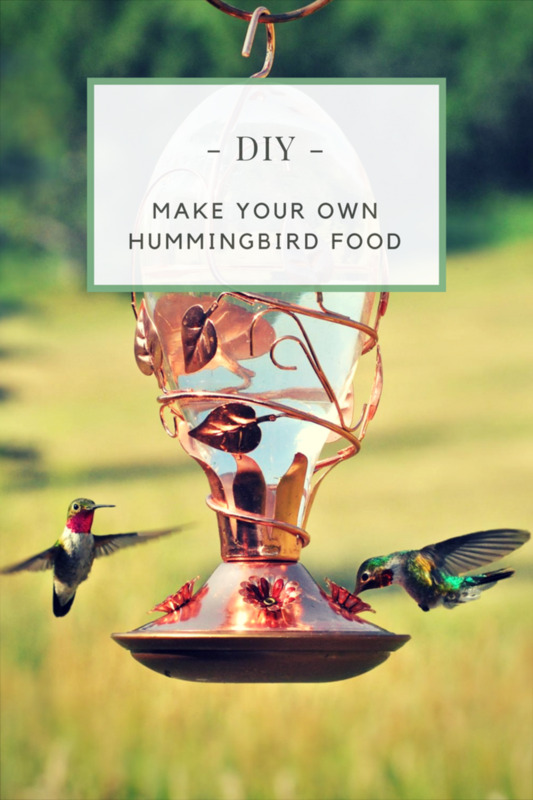 That is a good idea, thanks for sharing your method for keeping ants away from your hummingbird feeder. I bought my feeders from the States as the only ones I've seen here are plastic, and not attractive. Although we have a wide variety of plants, we don't have a lot of flowers. I do know what you mean though, natural nectar is better. Hi Mary - I had the prettiest hummingbird feeder and made my own nectar for it. But it quickly became an ant feeder. Hummingbirds rarely visited my feeder anyway. I just let the flowers do the job. They certainly like my red bee balm. Oh, that's great news. You can of course jazz it up so it doesn't look like a plastic lid but just keep in mind you need to have a surface that you can wash and reapply the bug spray as and when needed. 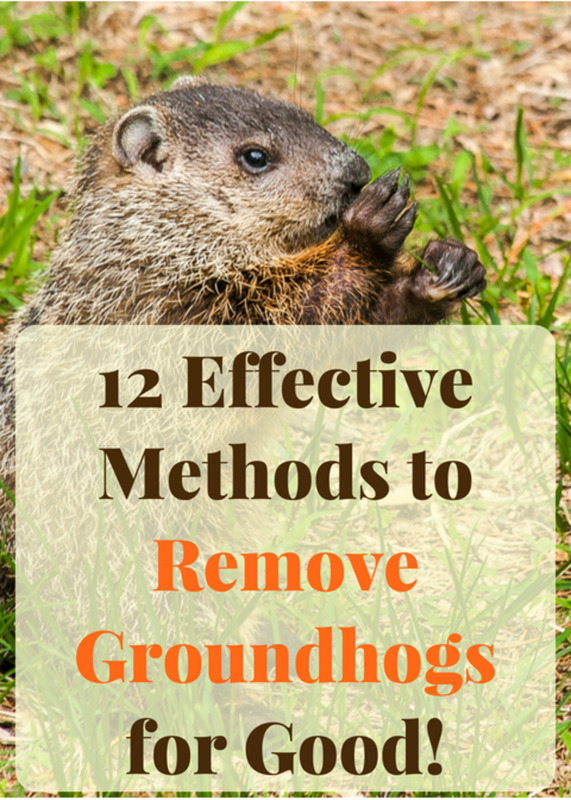 I've been struggling with this problem for several summer and you have supplied the answer! Thank you! Bees pose a different type of problem as they, like the hummingbirds, fly to the feeders. If they are bees and not wasps, I personally would do nothing, the plight of the bees is frightening and we should all be doing more to encourage bees into our gardens. I am a big believer in planting flowers and leaving areas wild for certain insects. I have acreage though so leaving an area uncut for me isn't a problem. At one point I had small wasps which hounded my hummingbird feeders preventing the birds from getting to a feeding station. You're right it is annoying! I found that moving it to a new destination helped as the birds found it before the tiny wasps did. Although not an ideal solution, in the short term, it may have long-term benefits. We haven't had wasps on the feeders for a couple of years now. Just remember to reapply the spray occasionally, especially if you have had rain. I will try this when we go back to our cottage this summer. Ants don't only spoil picnics, lol. I was desperate to find a solution to the problem. Thanks for putting it on your blog, I hope it will be an asset to both of us. Wow, Mary, this is fabulous. 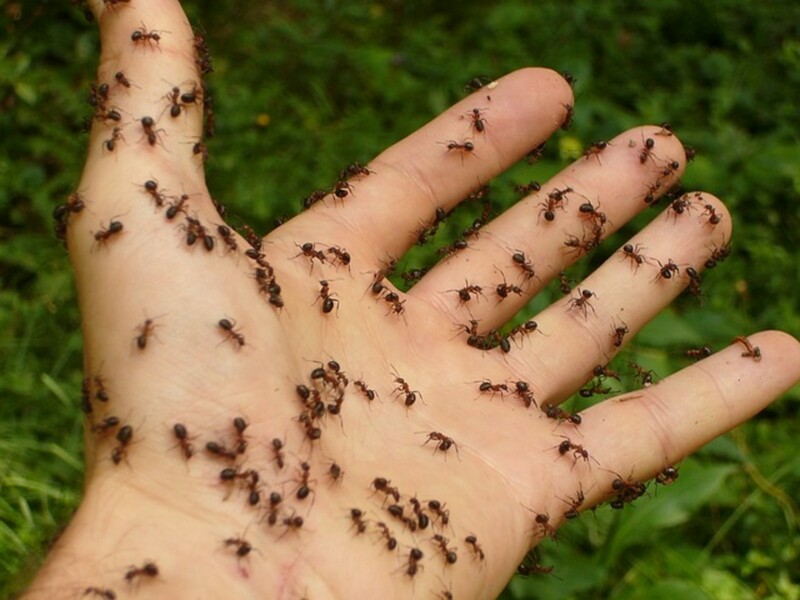 Many people are plagued by ants, and this is going to be a Godsend to those that have wanted to retain feeders, but don't because of the pests. I'm going to put this on my blog, which should get you some exposure. They are such a joy to watch. The way they can delicately hover over a flower, is amazing to see. If you know anyone who has a problem with ants on their hummingbird feeders, please share this with them. We have hummingbirds visiting our yard because of all the flowering plants so we do not bother with a hummingbird feeder. This is good to know however for all those with feeders for these tiny and cute creatures. Sharing! Never a truer word was said, need necessitates change. Here on our farm, we seem to make a solution to a problem instead of buying commercial items. Thanks for your kind words, and sharing. What a creative contraption and a brilliant idea. Need is the mother of invention ain't it? Sharing this forward. Thank you. Sometimes I am like a dog with a bone and won't give up easily. I do like to keep trying until get to a satisfactory conclusion. 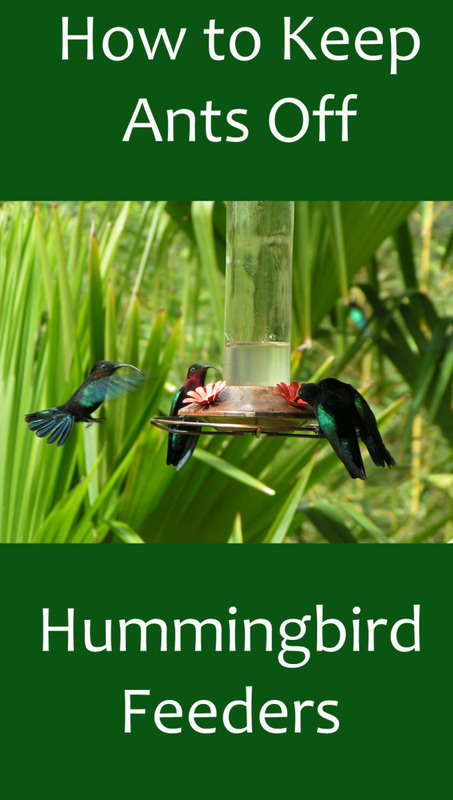 I enjoy seeing the hummingbirds, and I wanted to continue attracting to our outdoor area. I hope so. It is a beautiful plant and you can make tea and cook with it. A very interesting article indeed. Thanks for sharing the suggestions which didn't work and then your creative idea that solves the problem. Also thoughtful of you to share. Well, squirrels we don't have although we do have monkeys. Luckily they haven't discovered my feeders. Where we live is 3° south of the equator and our temperature is a constant 88-90° (F) year round. I will have to find out if it will grow here. Thanks for the suggestion and your kind words. Mary, I agree, this is very well written and assembled article. Your solution is very innovative. You are so lucky to have a lot of hummingbirds. I'm not sure why but our location attracted only three to five regulars, but we found that the squirrels were chug-a-lugging the feeders. When both of us started having failing health, we stopped putting them out. However, I love pineapple sage and I always keep large pot of it growing in the summertime. It attracts the bees and a couple of our hummingbirds are back. I'm hoping they are some of our former regulars. Pineapple sage is one of the largest herbs I've ever grown and sometimes it makes it through the winter. if you are in a moderate to hot climate, I recommend your giving it a try. It is a gorgeous, but late summer bright red bloomer. I suspect the ants are biding their time. At least now you've got a plan of action, just in case. Very good to know that this system has worked well for you. So far this year we haven't had ants on our hummingbird feeders, but last year we did. I suspect that as the weather continues to warm up, we'll need to try your clever solution. Thanks for sharing! Before moving to Brazil I thought there were two types of ants ~ red and black. It turns out there are about 22,000 different types and we have our fair share here in Brazil. Just for the record, black ants bite too. I refuse to let my hummingbird feeders get overrun with the little blighters, so I came up with a solution to the problem. I do hope the Gods at Google (and others) pick it up. Happy Thursday to you as well. I would think this is a very search-engine friendly article, but it's also interesting, well-written and very handy for most gardeners and lovers of birds. Thanks for the information, Mary, and Happy Thursday to you.